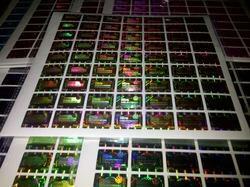 We are the manufacture of hologram sheets we give quality we are one best leading company. The e-beam technology resolution is two orders of magnitude higher than resolution of optical recording systems. E-beam origination allows getting micro texts up to few micron height, high resolution elements and other features beyond the reach of optical recording method. E-beam equipment is a high tech and expensive one requiring substantial intellectual investments in consequence of that limited number of holographic companies in the world is capable to produce up-to-date e-beam originals. 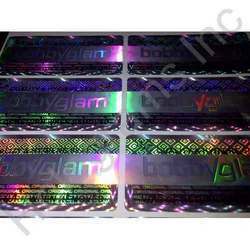 Exactly the e-beam technology of hologram origination is used in products manufactured by Bajaj Holographic. 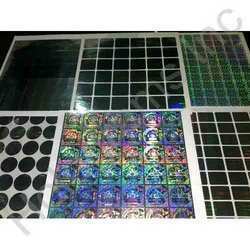 Looking for Hologram Sheet ?